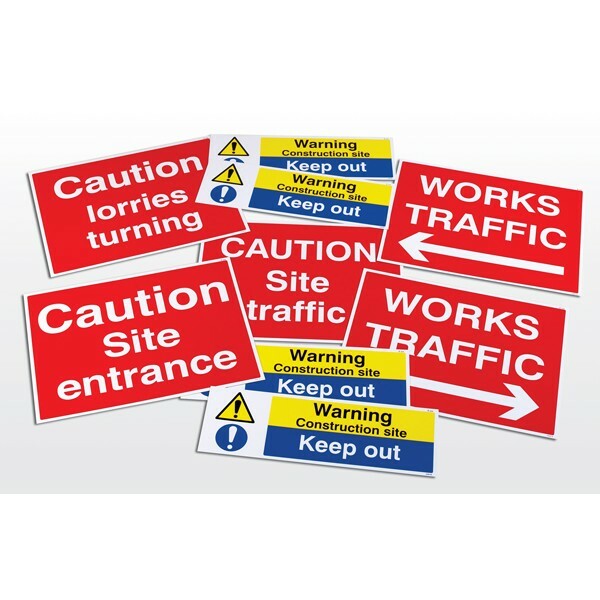 This construction site sign starter pack comprises of six of our most commonly used construction signs and contains a total of nine safety signs: 1 x Warning, Construction Site, Keep out. 1 x Caution Site Entrance. 1 x Works Traffic Arrow Right. 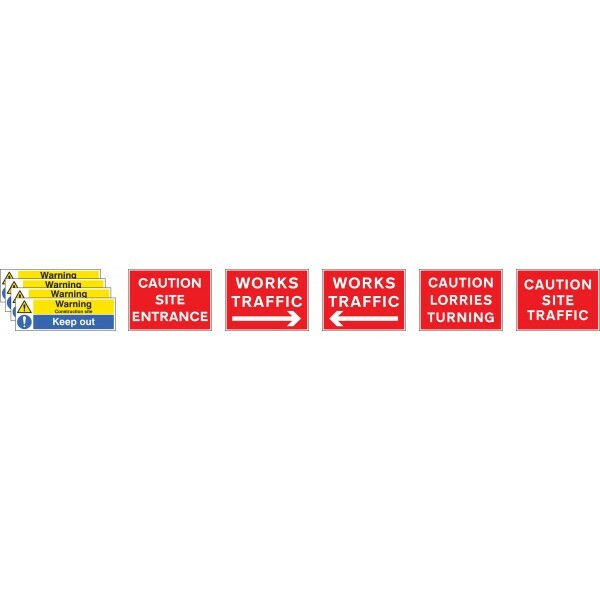 1 x Works Traffic Arrow Left. 1 x Caution Lorries Turning. 1 x Caution Site Traffic.